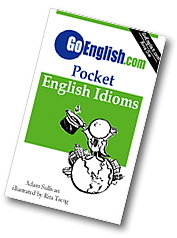 Today's Idiom = "A Pack Of Lies"
When you hear a number of things which are untrue, you might angrily call them a "pack of lies." Example: "He's the one who took the money. I saw him." Reply: "That's a pack of lies!" Many things said which are all untrue are a pack of lies.